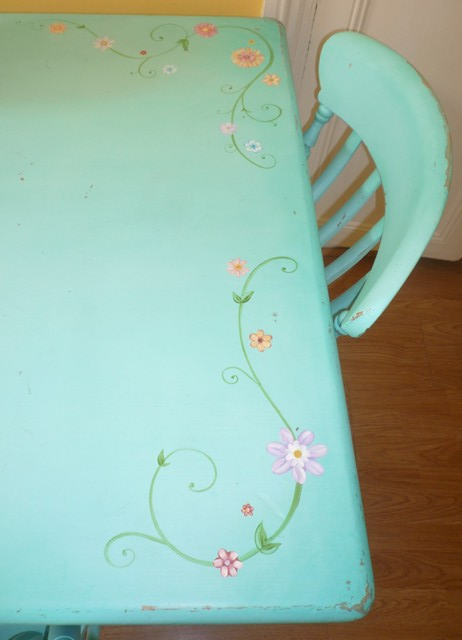 The first three pics show a hand painted distressed kitchen furniture project I had where I distressed and hand painted some old pine furniture. 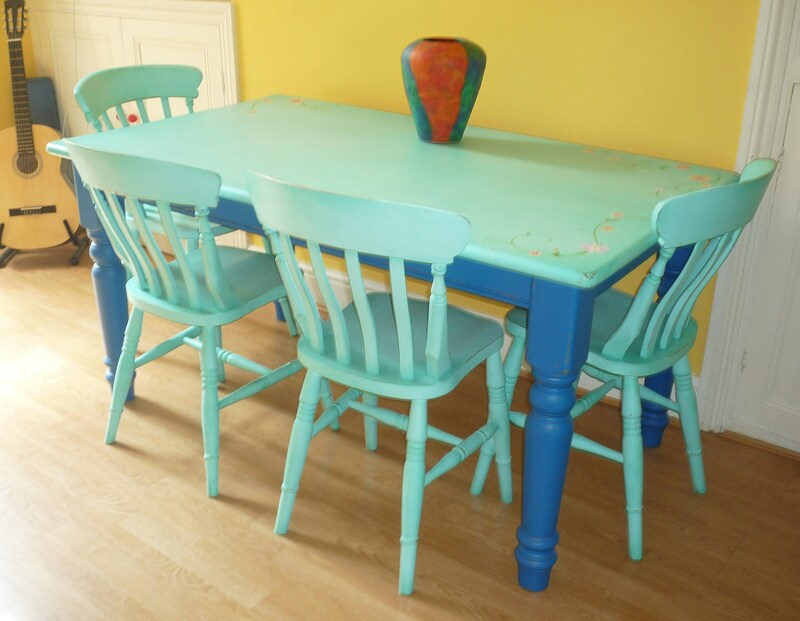 The client loved bright colours and chose turquoise to really give her dining room that wow factor. 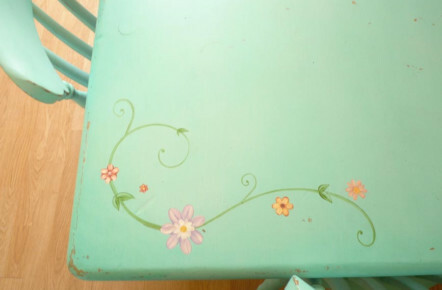 After painting on the turquoise the furniture was distressed and then treated with a darker turquoise glaze to add even more richness of colour. 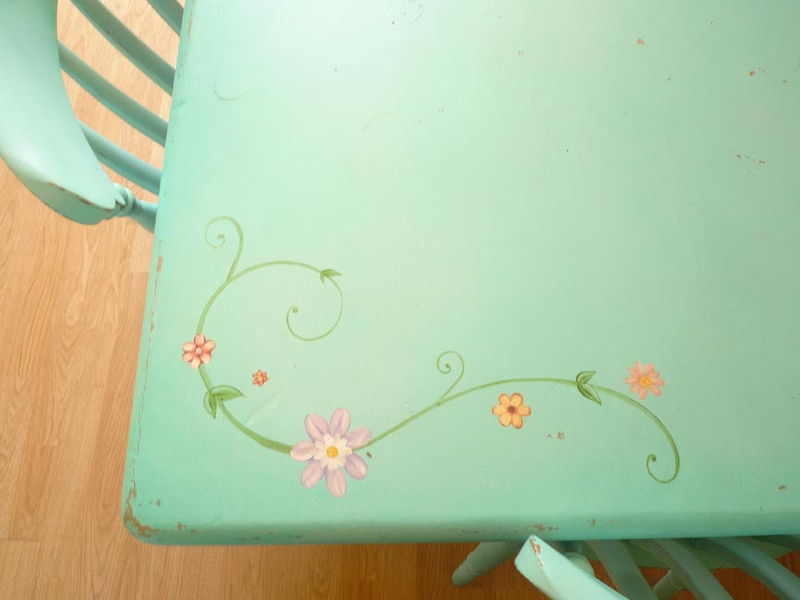 The table top was also painted with some individually designed swirly flower motifs.With all the colours and detailing this project truly was one of a kind. The next couple of pictures show a laminate fireplace that I hand painted and then distressed. 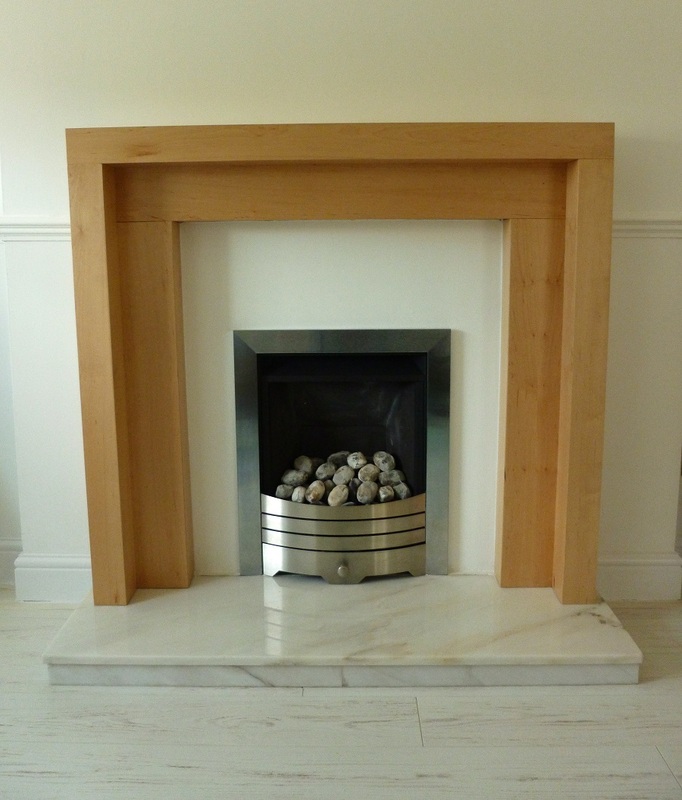 The clients had changed the floor from maple to a light wood effect and the fireplace no longer looked right in the room. They client called me and asked if I could create a stylish ‘Shabby Chic’ look as she loved that kind of furniture and had seen lots of it during various visits she had made to France. After cleaning, sanding, applying a wax barrier, 2 coats of primer, three coats of emulsion, sanding back and finally two coats of varnish the transformation was complete. 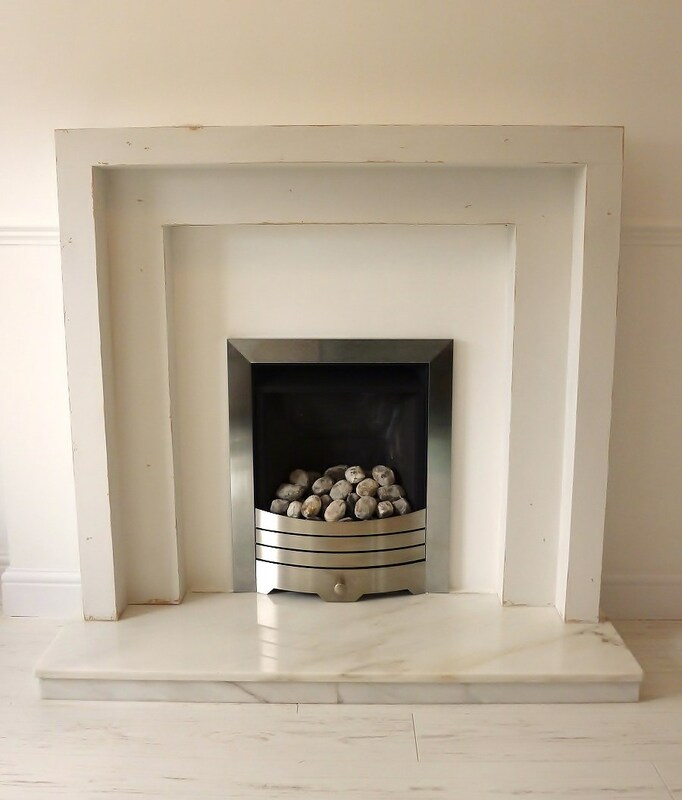 Aside from this fireplace I was also asked to distress a chest of drawers and a clock for her – to see the chest of drawers please click here. 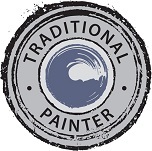 Lee works throughout Yorkshire and is within easy reach for projects in Leeds, York, Wetherby, Ripon, Bradford, Ilkley and the surrounding areas.